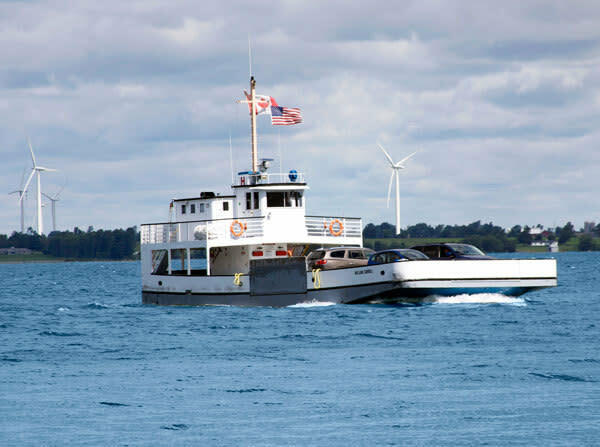 Only international auto/passenger ferry on the St. Lawrence River, operating between Cape Vincent, NY and Wolfe Island, Ontario. Click on hornesferry.com for fares and schedule. 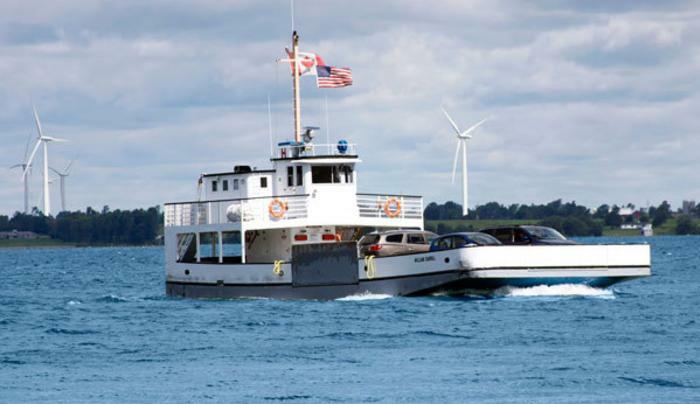 See also the Wolfe Island Ferry, providing public transportation from Wolfe Island to Kingston, Ontario. Canada: 613-385-2402; U.S.: 315-783-0638.